This grouping is free to you for Birthday Week! Prints of the original on wood. 1. 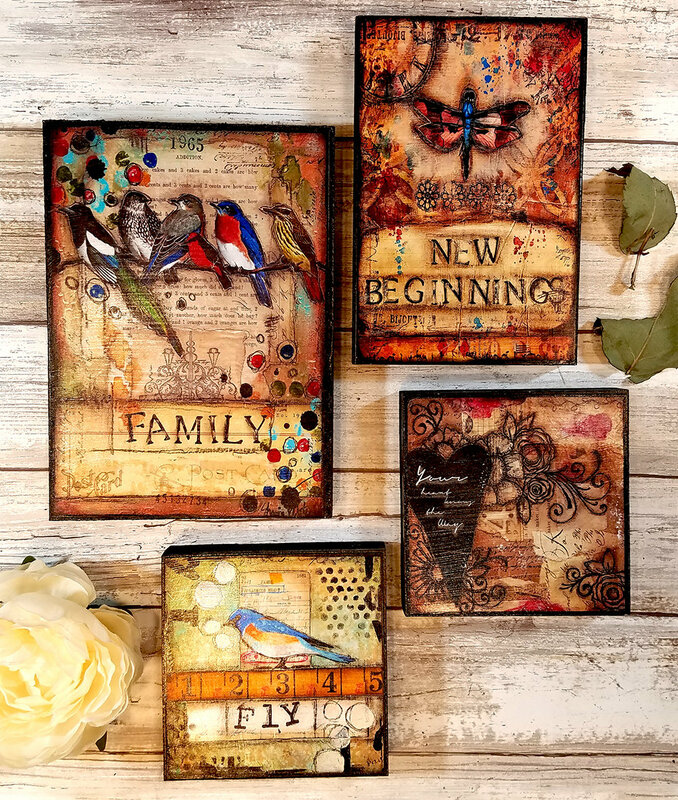 5x7 "Family birds", 1 - 4x6 "New beginnings", 1- 4x4 "your heart know the way" 1 - 4x4 "Fly"